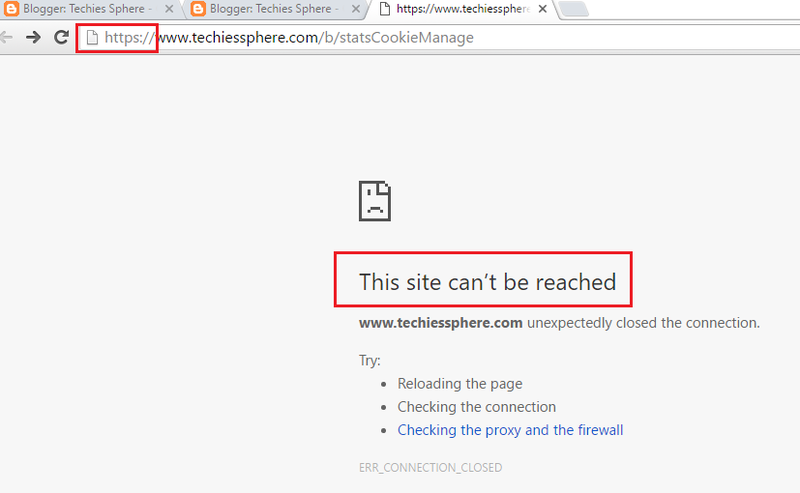 Or, Manage the tracking of your own page views, return with error "This site can’t be reached" -Blogspot. 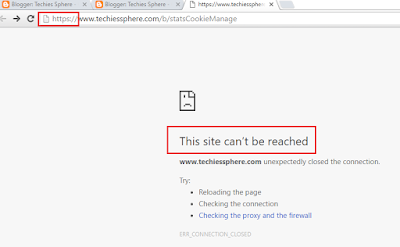 When you click on "Manage the tracking of your own page views", you get error "This site can't be reached". I noticed this issue after pointing my default blogspot domain URL to a custom domain URL I purchased. Friends the solution worked for me after a of lots efforts, that was too easy anyways. All you need to do it, just remove the (S) from the https:// url of page view tracking page and refresh the page. This is how it looks like once you removed the "S" from the HTTPS:// url of page view tracking page.